cut the carbon footprint of transportation, and by recycling one aluminum can you save enough energy to power a television for three hours (I read this in Fermenting Revolution, a book that was published in 2006). 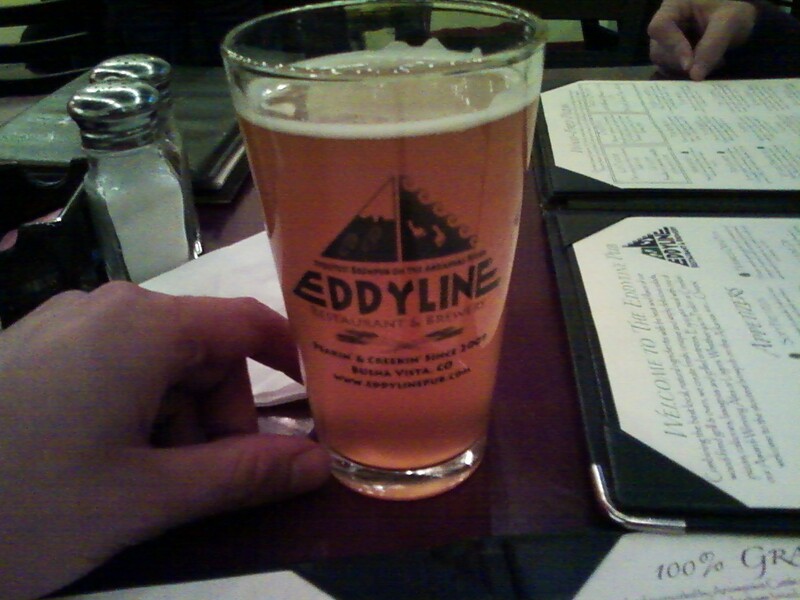 So, I’m hoping that we’ll be seeing Eddyline’s beer over in Colorado Springs. I visited the brewery when I first moved to Colorado (just 3 months ago) and their beer is really fantastic. I didn’t take my notepad with me, but I remember I drank a pale ale, and it was very fresh tasting, nicely balanced, with what I’m assuming were Pacific NW hops. I look forward to going back someday and to keeping some cans in my fridge. They commissioned local artist Katie Henderson Carl to create “old school hand drawings” that relate to the outdoor activities found in the area. 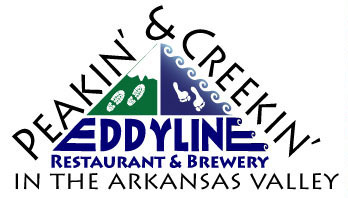 Eddyline has announced the first three beers they will can are: The Drag Bag Lager, Kickin’ Back Amber, and Crank Yanker IPA. Most of the times we are out enjoying everything Colorado has to offer: biking, hiking, skiing, boating, fishing, KICKIN’ BACK! This amber lager and is very smooth and is perfect for enjoying the Colorado scenery. This is the perfect beer for enjoying that kickin’ back time with your friends around a camp fire. What kind of beer do you throw in the drag bag? I think the Arkansas Valley favorite is PBR, but we hope to change that. This lager is light, refreshing, and smooth, just what you need on a long trip down the Arkansas. *UPDATE – Turns out they will be distributing their beer to the Colorado region! Please see the first comment below for details.